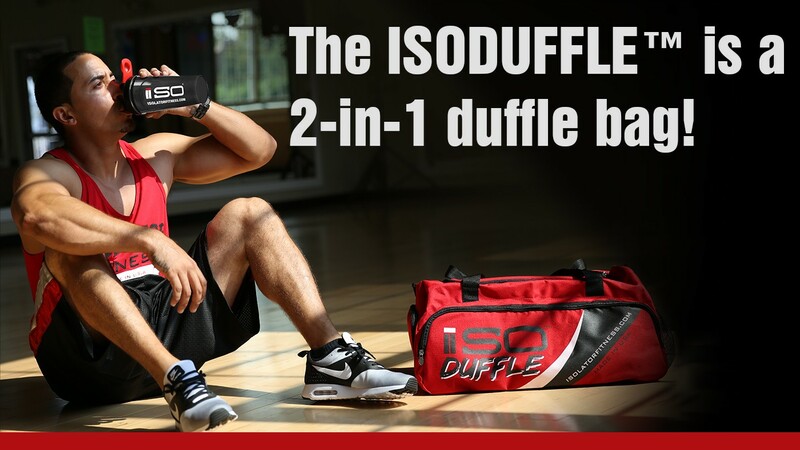 ✅ It is perfectly designed with a cooler compartment for your food and a separate space to fit your gear! 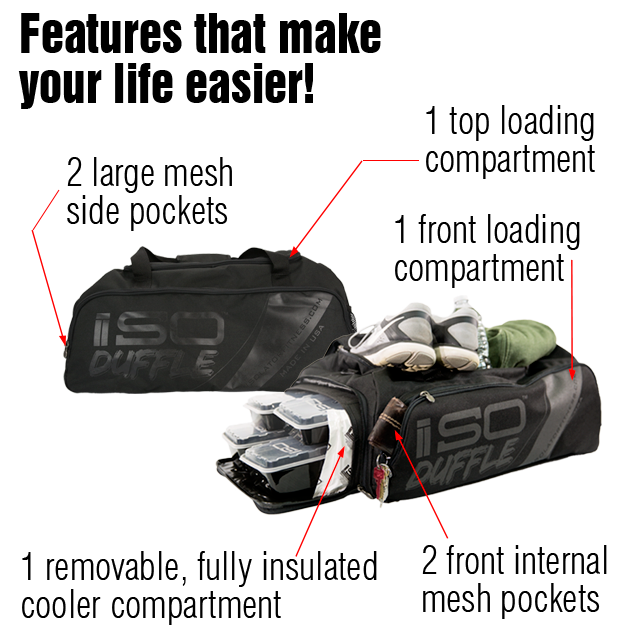 OUTSTANDING features of the ISODUFFLE™!!! 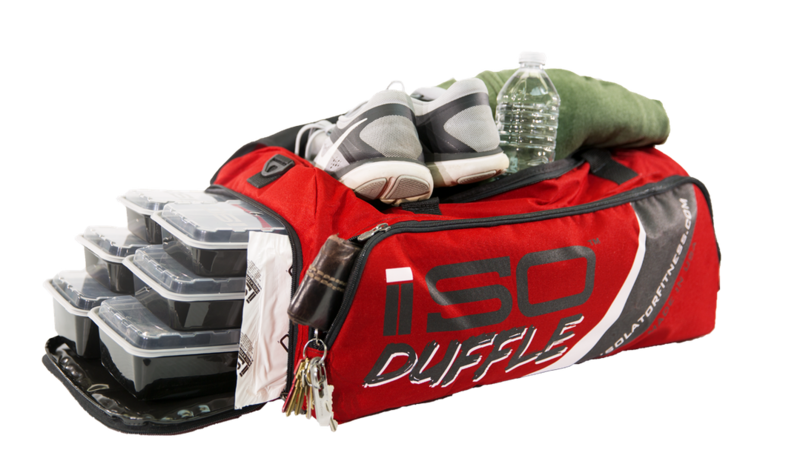 Watch how easy it is to organize your meals and fitness gear in the ISODUFFLE™! 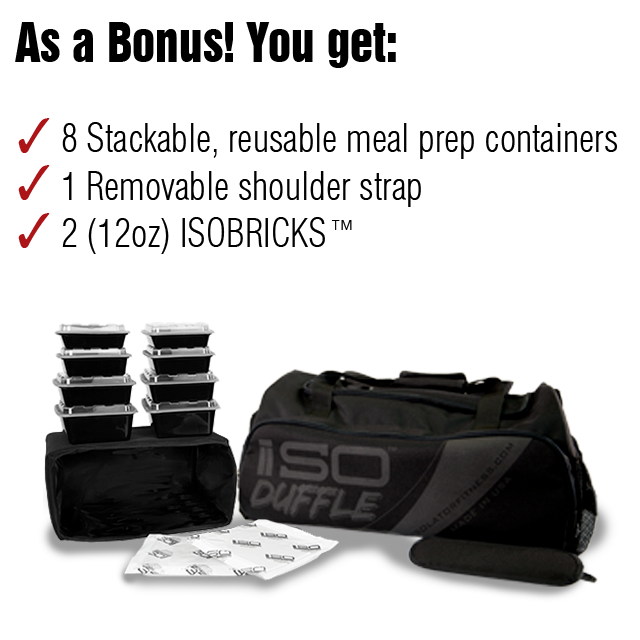 Grab the WORLD’S BEST MEAL MANAGEMENT DUFFLE today!